Exclusively for Avaya IP Office. 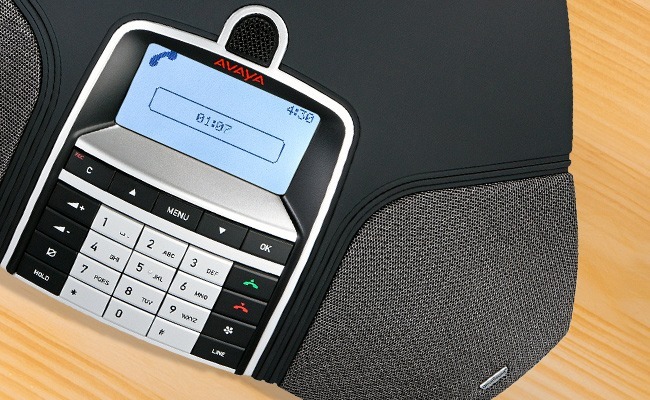 If you are looking for high-definition video conferencing and collaboration solutions, Avaya Conference Phone is a Video Collaboration Solution for IP Office offers a simple and cost-effective communications service. Whether your participants are sitting behind a desk in a conference room or are mobile, Avaya have desktop, boardroom and mobile client solutions to suit your needs.Avaya Video Conference solutions enable participants to interact as if they’re all in the same room. The vast improvements in speed and reliability provides excellent video performance in real-world network conditions.Join any video conference meeting easily from your desktop or mobile device using Avaya Scopia® Desktop and Mobile Applications. Conduct meetings around the globe with full-featured video collaboration that you control, moderate and administrate.Conduct meetings around the globe with full-featured video collaboration that you control, moderate and administrate. Boost staff productivity with crisp, smooth quality and bandwidth efficiency by joining any video conference meeting easily from your desktop or mobile device. Avaya Scopia® Desktop and Mobile Applications can be freely distributed. Call us on 1300 349 835 or contact us online to speak to a Fixtel Customer Solutions Adviser today about Avaya Video Conferencing solutions.